Celebrate spring and enjoy the many benefits of a new floral arrangement in your office and home. These benefits could be the difference between a big sale, a more efficient workforce, a big idea, or increased relaxation, and can be accomplished for as little as $2.00. At Cappel’s Inc. we use our large selection of floral arrangements to promote not only fun, but also employee relaxation, increased productivity, and to add major design elements at a low cost. 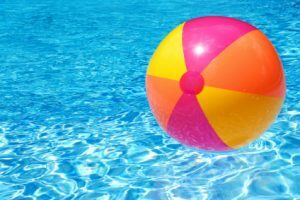 At Cappel’s although we love to party, we also know how important is to be able to relax. We want our employees to be relaxed so they can do their jobs effectively and efficiently! 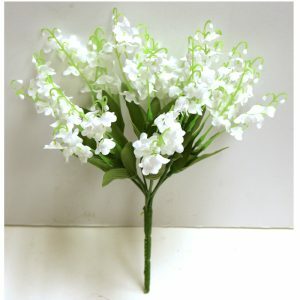 Seeing greenery and colorful flowers is very calming and can greatly improve someone’s mood. Many studies have shown that an increase in an employee’s mood, increases their productivity, and improves creativity. Can you imagine the financial impact on your business if you increased the productivity of all of your employees by just 5%? Wow! First impressions go a long way! Adding a floral arrangement from Cappel’s to your reception area or home entryway sends a welcoming message that is sure to leave a lasting positive impact on your guests. Why spend money on expensive furniture? When you can add many additional design elements to your home or office with artificial flowers that will do more, last longer, and for less! Many studies have shown the benefits of greenery. Floral pieces from Cappel’s Inc. could be the difference between a big sale, an expensive piece of furniture, more efficient employees, or increased relaxation. 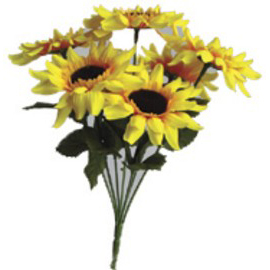 Please enjoy our large floral selection online or at one of our 4 convenient Cincinnati locations. For design questions, please contact us. Ever look in your closet and think, “I have nothing to wear?” Either the clothes don’t fit right or are out of season, or don’t fit the occasion. On those days, I have a couple of never-fail pieces that I turn to and end up wearing over and over. They are comfortable and they look decent. Most importantly, I feel good in them! Now, what is the backup plan for the upcoming party season? You know what I mean… it starts with Halloween and doesn’t end until after New Year’s day. For Halloween, do you go with a full-blown, head-to-toe character work up with a wig, makeup, costume and accessories? Or, do you take a minimalist approach by finding just that one item that does it for you? The main thing about party wear for me is that I don’t like to wear the same thing year after year, like I do with my work clothes. Party wear is always something a little bit special. Especially when it comes to accessorizing my outfit: a hat or headband, a pair of earrings (the earrings matter as much as the shoes!) special socks, or tights. How about you? What is your “go to” outfit for a party? 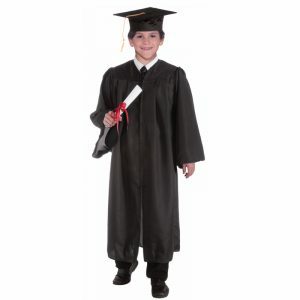 Whether your child is participating in a graduation ceremony from Preschool to Kindergarten or a Doctoral Hooding, it is a cause for celebration. Graduation is a milestone reached. 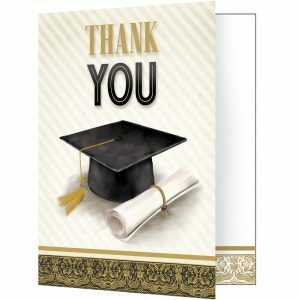 The ceremony is sometimes called a “Commencement” because graduation signifies the beginning of whatever comes next. It might mean beginning the next grade level or starting a new job or career. Sometimes, for birthdays and other celebrations, we like to come up with a “theme” for the decorations. 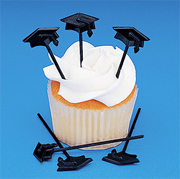 There is no need for a special theme for a graduation party – it’s all about the mortar-board and diploma. Fewer people than you invite will attend your party. So, invite more people than you want to be there. 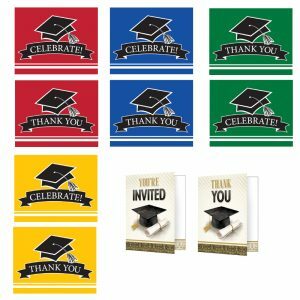 While event invitations are often simply posted online, this special occasion is worth sending invitations to each person or family on your list. If you know there will be young ones, be sure to plan some activities and entertainment for them! Playing upbeat music encourages guests to talk, dance, and get involved in the merrymaking, not to mention that they won’t leave as quickly when the music is on. When you’re ready for everyone to leave – turn off the music! 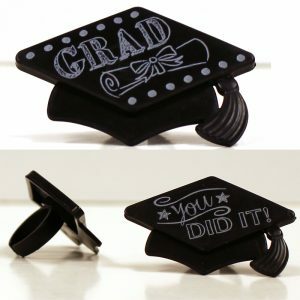 Giving each guest a mortarboard ring, hat or a diploma will connect them to your theme and set the tone for your event. 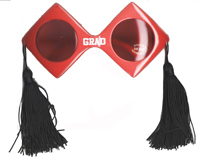 If it is an outdoor daytime party these sunglasses in your school colors make a great giveaway! 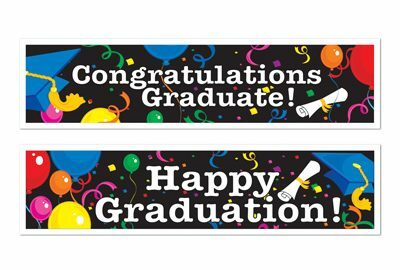 Using the school colors, hang a banner, place a centerpiece on each table, and put a sign in a spot with good visibility. And of course, balloons brighten any space! Start with your guest of honor’s favorite beverage and snacks. Then add some crowd pleasers. If your party budget allows, include alcohol and non-alcohol drinks as well as a diet and caffeine free option. Don’t overlook coffee and dessert for a great finish! Write “Thank you” for the specific item or gesture. Say why you appreciate the gift or the person or how you will use the item. Write “Thank You” again and sign the note. Mail the note right away! 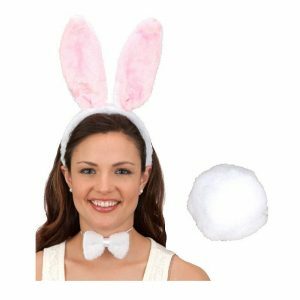 The Easter Bunny won’t be the only one wearing bunny ears this spring. Thanks to the friendly folks at Cappel’s, I’ll have little ones at my house with bunny ears, too. 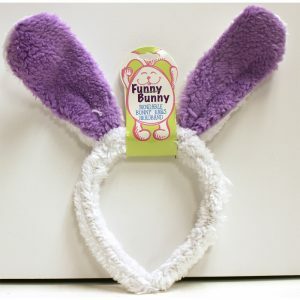 Cappel’s has an inexpensive bunny ears headband, tail and bow tie set for just $5.99. It can be worn by children or adults. 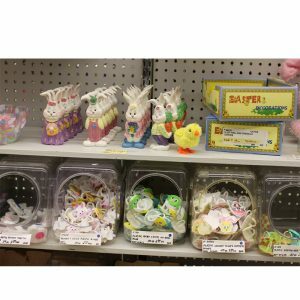 There are so many new items for spring and Easter. I’m ready to freshen up our look all through the house. We could use some new floral arrangements in our home. 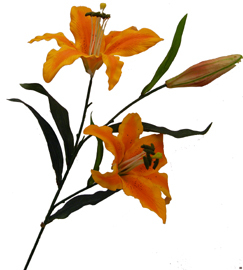 Cappel’s has quite a display of long-lasting artificial flowers – even I can’t kill those. From Easter lilies to long-stem roses, silk flowers are perfect for a floral arrangement to brighten any room. You’ll find what you’re looking for at Cappel’s. 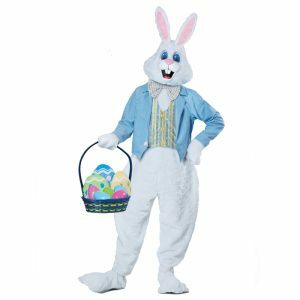 Whether it’s for cellophane with an Easter Bunny print, an Easter Bunny costume, two-piece, plastic eggs, or beautiful new artificial flowers to brighten your home for spring. 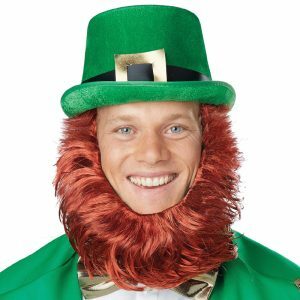 Happy Saint Patrick’s Day 2018! 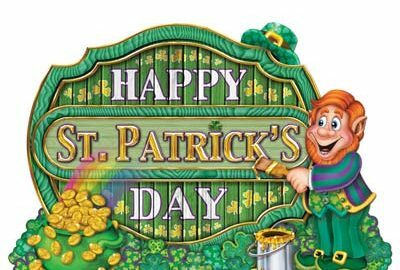 Saint Patricks Day is celebrated on March 17th each year, the anniversary of the death of the patron saint of Ireland. 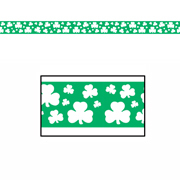 Falling on a Saturday in 2018, this St. Patrick’s day is a perfect opportunity for a theme party! 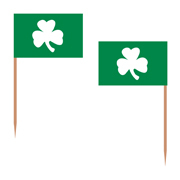 Typical decorations include Shamrocks, Leprechauns, anything green, anything beer related, Irish Flags, Pennants, Rainbow with a pot of gold. Wearables include green wigs, green hats, red-haired leprechaun beards, green bead necklaces, beer goggles. I grew up in a very music-focused family. Every chance we got, we were all around grandma’s piano. We also had violin, flute, cello, guitar, and trumpet players in the family. 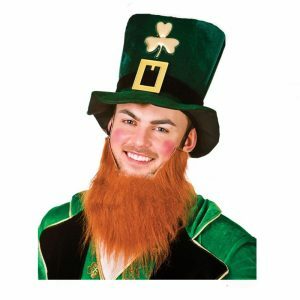 Irish songs were always fun for a sing-along! And all the valley’s hushed and white with snow. And o’er my grave will warmer, sweeter be. Then I shall rest in peace until you come to me. It’s a great day for the fair! For sure you’d think New York was ol’ Killarney! For the flags in full array. It’s a Great, Great, DAY! And the angels found it, sure it looked so sweet and fair. And when they had it finished sure they called it IRELAND! Come, make your home in my heart. What is a “Fidget Spinner” and where can I buy one? Have you heard of a “Fidget Spinner” yet? In the past few weeks these ingenious little toys have captured the attention of a broad range of people around the globe. Yes, around the globe! 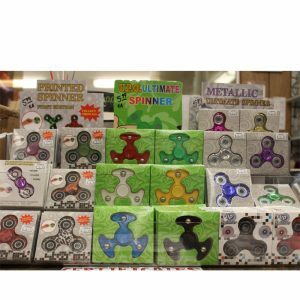 Many companies in many countries are vying for the limited quantities of spinners that can be produced in a given timeframe. While fidget spinners are not a new invention (they were created in the 1990s according to Wikipedia), they have just recently exploded in popularity. They are intended to help reduce stress by giving you something to do with your hands (fidgeting), and have been advertised to help people who have trouble focusing. Cappel’s is fortunate to have long-standing relationships with its suppliers. Our buyer has been in contact with toy manufacturers almost daily since we started selling the spinners. 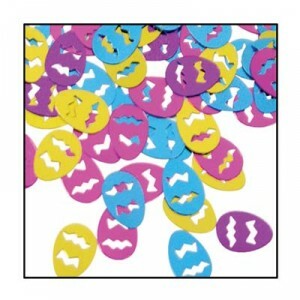 Worldwide, every buyer’s re-order of spinners, no matter how large or small the store or chain, had to be cut. Each manufacturer determined how to allocate the number of cases they would bring into the US and how many they would ship to other countries. The bidding and buying begins way before shipping is even considered, though. 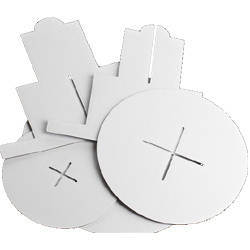 Each part in the assembly of a spinner has a price that is held out for the highest bidder. Since the beginning of the fidget spinner “craze”, the price a Chinese factory has to pay for just the ball bearings has increased 5x its original number! Light-up spinners contain a chip or circuit board and battery that each require testing and certification prior to being accepted for transportation by an airline. Each of these elements has a price tag. Some American vendors are traveling to Chinese factories cash and paying them cash on the spot, in order to ensure delivery to their stores. We don’t see this “fad” stopping. If you are in your fifties or older you might remember when super balls first came on the scene. Some people thought they might be a short-lived fad. But the super ball, like the fidget spinner today, is something that appeals to boys and girls, men and women, old and young. It can be enjoyed in a small quiet space or used with a group. 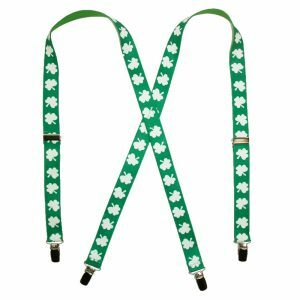 It can be made in a variety of styles to fit with almost any theme for school, the office, or family. And, in the case of the spinner, can be digitized to include styles that light up and perhaps one day even styles that play recorded messages, music, or display texts or pictures and holograms. 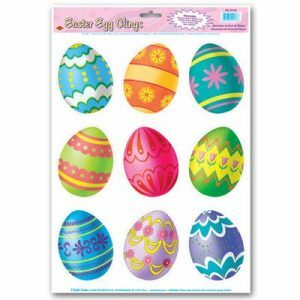 10 things to put in your kids’ Easter baskets besides candy! 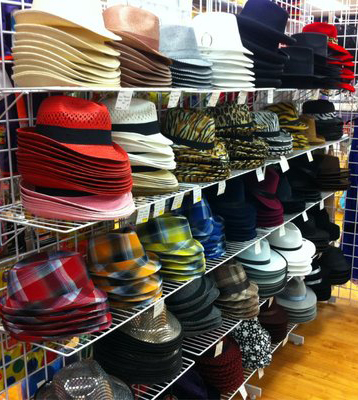 Cappel’s has it – all year ‘round! About 30 family members gathered in the back room of Cappel’s Costume store in downtown Cincinnati on Saturday evening. We were celebrating a college graduation. 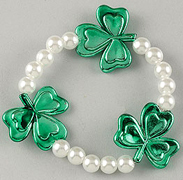 Are you looking for some cute little trinkets to fill Easter baskets this weekend? 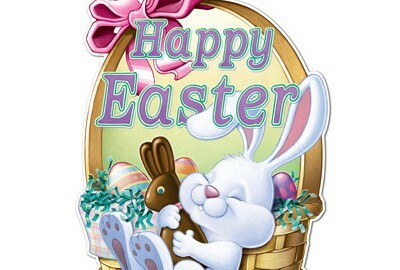 If you’re like me, you’ve been very busy with other things and Easter came sneaking up on you, all of the sudden. “Here comes Peter Cotton Tail, hopping down the bunny trail” and I don’t have the first thing for our baskets! 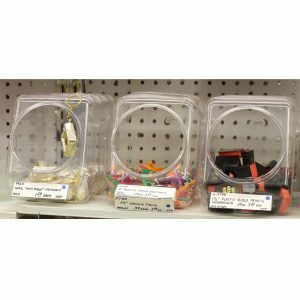 Thankfully, Cappel’s has bins full of ideas and items that will make any basket look like we spent lots of time picking out just the right things. 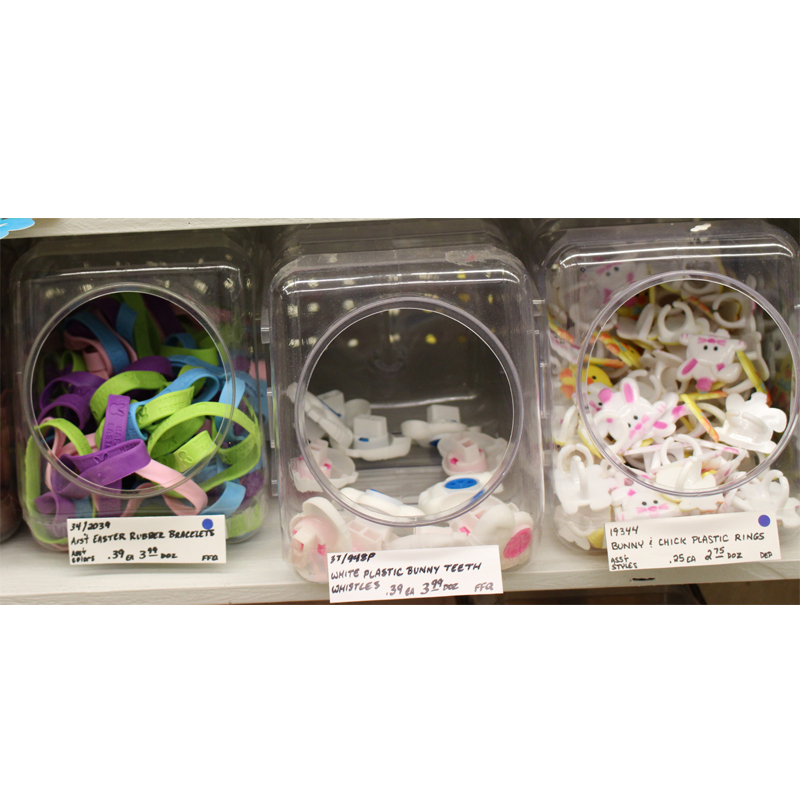 We found everything from small plastic Bible pencil sharpeners, to Easter Chinese Yo-yos, plastic bunny rings and glow sticks! We have the cutest baskets, fillable plastic eggs, rubber eggs, small wooden eggs, and even several sizes of Styrofoam eggs! 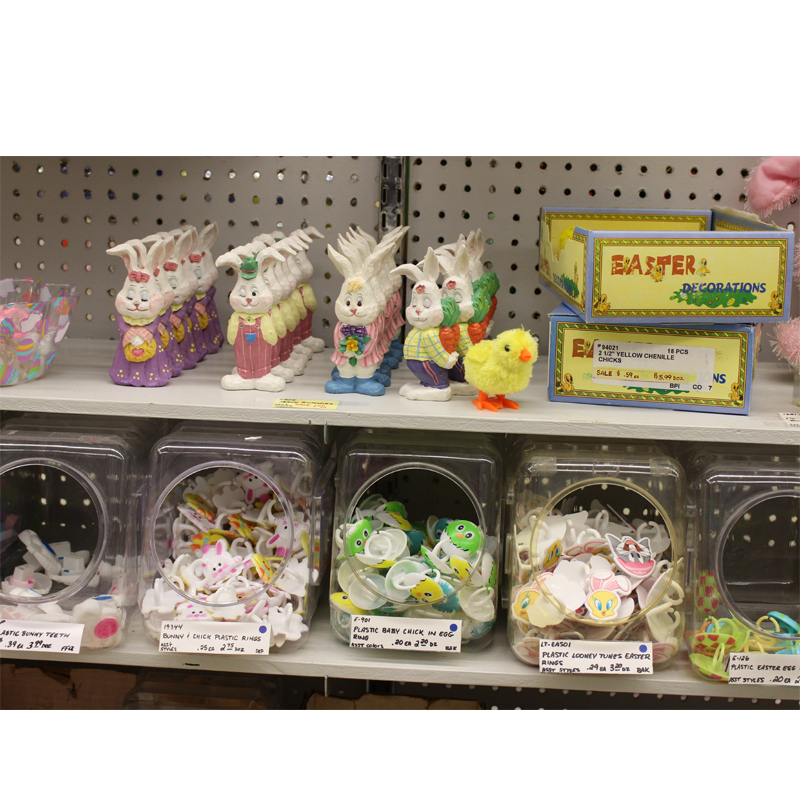 Stop in the Cappel’s nearest you and pick up some non-candy Easter basket fillers, today! 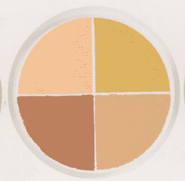 Tattoo cover is a thicker, drier consistency then makeup or foundation. If you have used it before you already know to really load the sponge, brush, or your finger heavily with product before starting to apply it. As your tattoo cover begins to dry out, the first sign that it is getting too dry to use is that a ring of separation will form around the outer edge. You will notice a gap between the inner edge of the container and the makeup. At this stage, the product is still useable but see tip #2 for another helpful hint. The second sign of old tattoo cover is a dull appearance on the surface. Tattoo cover contains castor oil. As it ages, after a couple of years, castor oil begins to evaporate, taking the shine with it. At this stage, you could add one drop (yes, just one drop) of castor oil. You can use a drop of mineral oil, if you have it on hand and don’t have any castor oil. But remember, just one drop. The final stage of tattoo cover going bad comes with a rancid smell. At this point, discard the entire container and go to your nearest Cappel’s store for a brand new Mehron, or Ben Nye tattoo cover. If you don’t live near one of our stores, you can order some from our website, cappelsinc.com. 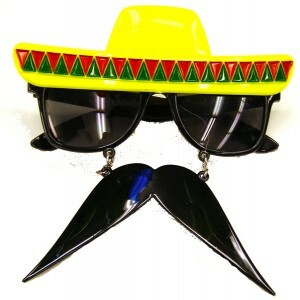 This hat, glasses and mustache combo is perfect for a Cinco De Mayo celebration. Click to shop now! In the United States, we celebrate the history and culture of Mexico, not on the date the country celebrates its declaration of independence in 1810 (Sept. 16), but on the 5th of May. The trend for celebrating Cinco de Mayo has been growing each year in the U.S. The date is marked with grand celebrations and parties of all sizes featuring Mexican flags, music, dancing, and traditional Mexican food. 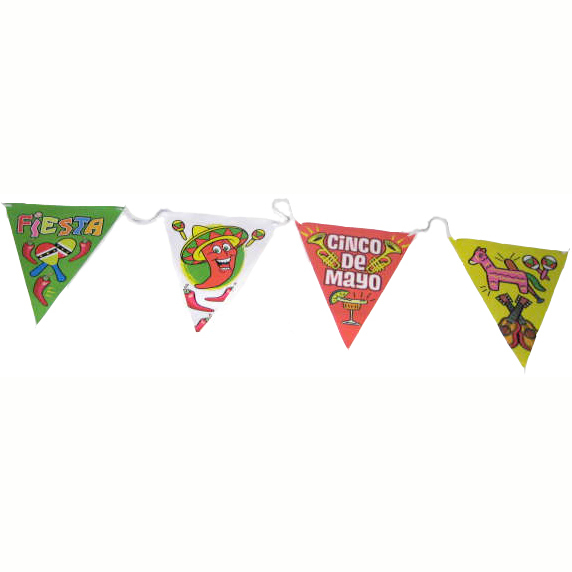 Decorations and party supplies for Cinco de Mayo often feature chili peppers or sombreros, while costumes include serapes, and accessories include maracas, and bushy black mustaches. Cinco de Mayo literally translates to the 5th of May, in English. On this day in 1862, approximately 100 men who were loyal to Mexico lost their lives in a victorious battle against the French in Puebla, Mexico. The battle was a result of the Mexican government’s default on a loan from France. At that time Napoleon was ruling France and used the default to try to take Mexico under French rule. Although they were seriously outnumbered and ill equipped, Mexican soldiers were led to victory over the French, on May 5th 1862, by a native of Texas, General Ignacio Zaragova. The United States was fighting its own Civil War at that time, but later lent Military support and political pressure to help bring an end to Mexico’s war with the French. 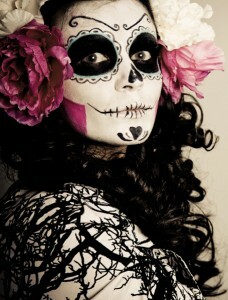 Check out all these other great Cinco De Mayo ideas too! 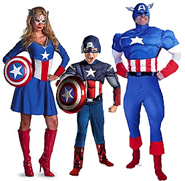 Cappel’s is your year round destination for costumes, costume accessories, party supplies, and decorations. For your Cinco de Mayo celebration, we feature a fabulous array of products reminiscent of Mexican culture and heritage. 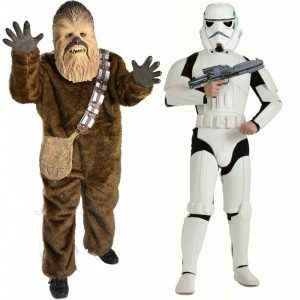 Are you going to a Star Wars Premier or a Star-Wars-themed party? 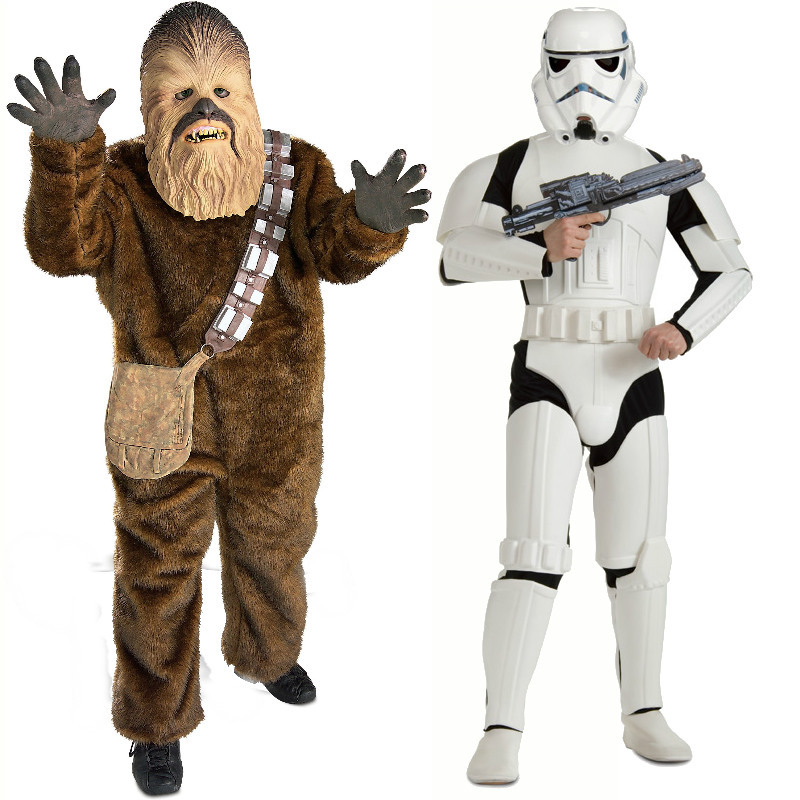 Would you like to be Chewbacca or a Stormtrooper? We have a costume for that. Cappel’s offers a realistic-looking, licensed Chewbacca costume. It includes: a furry jumpsuit, latex mask, latex hands, and a latex bandolier with pouch. It is available in two adult sizes. This year, it’s been really interesting to see the increase in nutcracker designs and stringed lights designs. Did you know there is a Star Wars collection of nutcrackers and lights? 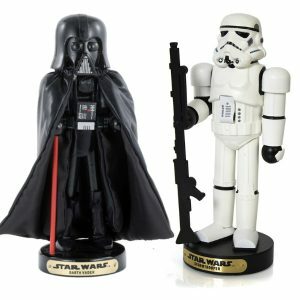 Just in time to give for Christmas 2015 or decorate for the premier of the new Star Wars movie, licensed Stormtrooper and Darth Vader nutcrackers are available for purchase. These nutcrackers are part of a collectible series of wooden nutcrackers. Whether you are a fan of Star Wars specifically or simply enjoy collecting nutcrackers, an 11″ wooden Star Wars Nutcracker is a great gift for Christmas, birthday, or anytime. The wooden collectible nutcrackers stand about 11 inches tall and weigh about 1.7 pounds! This is a solid decoration for Christmas or a theme party anytime of year! Each design is licensed by Disney. 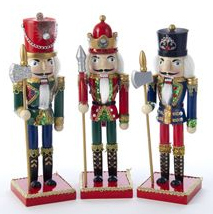 The wooden collectible nutcracker stands about 11 inches tall. The 11″ Wooden Nutcracker is sold with the box intact – perfect for collectors. The box features images of three of the Star Wars Nutcrackers: Yoda, Darth Vader, and Stormtrooper. These R2D2 lights are officially licensed and make a great gift! The Christmas light decorations are designed like either Yoda or R2D2. This is a ten light electric light set. It is suitable for indoor and outdoor use. 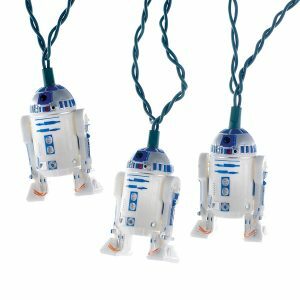 R2D2 and Yoda are must-haves Christmas light-up sets for that person in your life who a fan of Disney’s Star Wars. Each official set is an authentic, licensed product. These don’t just have to be Christmas lights. 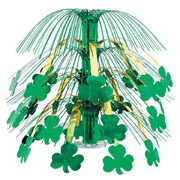 The lights lights look great as decorations for a themed party, in a child’s room or as a Halloween Decoration. Stop on by and get your Star Wars on! You’ve probably seen our website by now, but did you know we have five locations in the Cincinnati area open year-round? Do you need a last-minute gift idea? Don’t want to resort to giving a gift card again this year? Are you looking for something different, something unusual, out of the ordinary? Guess what? Cappel’s has more than Santa Suits, Christmas lights and garland! Hollywood Nutcracker – great gift! nutcracker designs depict modern visions snowmen, gift-wrapped packages, and Christmas candy. The Holiday Season involves celebrating many family and work-place traditions. Why not make one of your family traditions a stop in a Cappel’s in Cincinnati? If you are too far away, check out our website, www.cappelsinc.com, and enjoy shopping with us for your gifts and decorations this year. For those of you who have already stopped by or shopped at our website, thank you for another wonderful holiday season. We appreciate your business! School bells, school spirit, and cow bells: what do they have in common? Have you heard of Live Action Role Play (LARP)? This is an area of gaming that is part fantasy, part fact, part theater, all interactive. The origins of LARP, according to information posted on Wikipedia, are multi-national but in each country the games are based on participants’ desire to act out, in real life, episodes of life in another time. Some LARP groups focus on replaying specific battles, historic or futuristic while others establish rules based on games such as Dungeons & Dragons. As important as the play actors, costumes, and weapons in LARP, are the Gamemasters (GM) who identify the setting, determine the rules, and handle recruitment and financial aspects of the events. The oldest recorded LARP group in the U.S. began in 1977 with a focus on reenacting fantasy battles. Since then, this adult form of make believe is typically meant for entertainment, artistic expression, or educational purposes. LARP events may be as short as one or two hours, or may involve a great number of players and last several days. Whether your involvement is as a participant, GM, or crew member, Cappel’s has great costumes, accessories, wigs, and fake weapons for your next LARP outing. There ARE alligators in the NJ sewer system after all: Unusual use for a soft rubber squeaky alligator toy! We’ve seen alligator bead necklaces, inflatable alligators, and even an Alligator King costume. We’ve heard of Alligator Skin boots, purses, wallets, jackets and even car accessories. But, have you ever seen an alligator hat like this? Cappel’s customers in New Jersey have their own design and collection of Alligator hats using our 10” Alligator Squeak Toy. 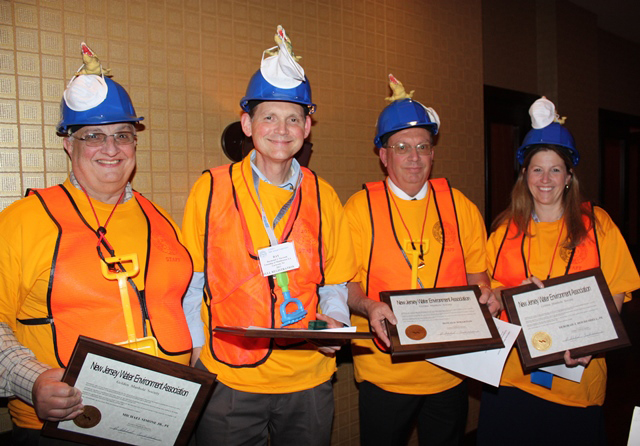 A Project Manager, JB, adheres the squeaky alligators to hard hats as an initiation/recognition tactic for trainees in the NJ Water Environment Association. The trainees enjoy squeaking the alligators on top of their hats and so do other workers (who fondly remember wearing the hats when they were trainees). Although the item is not as popular as some other squeak toys, it is readily available and among our many novelty and toy items. JB wrote us a note when he sent a picture of this season’s successful trainees. Thanks for your help. The New Jersey Water Environment Association is an educational service organization. We provide professional training and recognition to water professionals working in Sewage Treatment Plants and the water infrastructure. The folks you see in the pictures are operators, engineers, lab techs and the like. So, you see, even though it is refuted by many researchers and websites, there are truly alligators in the NJ sewer system after all. 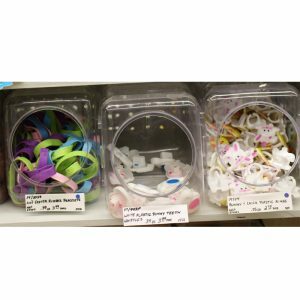 Last year, Cappel’s Party Supplies received a request from a large healthcare company that needed some help. Trilogy Health Services (THS) is a senior-living-community management group. They are currently responsible for 80 senior living communities conveniently located throughout 5 states in the Midwest. Each THS campus hosts four themed dinner events per year for its residents. The dinner guests include all of the THS senior living community residents. During the summer they were planning a September event with a mystery theme that would occur on each of their campuses. THS was struggling to find an efficient way to organize similar activities within 78 participating nursing homes and care facilities. In the past, organizing these events took a great deal of time, effort, and money. Locating event supplies, decorations, and costumes, often through multiple websites and vendors, was costly and time consuming. Cappel’s was able to solve many of Trilogy Health Services’ problems and made these multi-location events much easier. 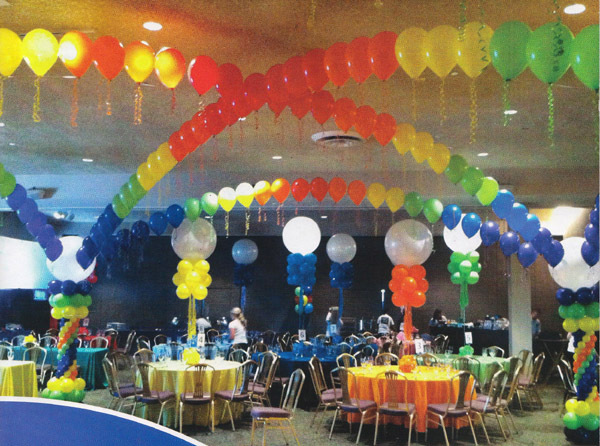 Cappel’s worked directly with the Purchasing Agent to provide top party supplies and decorations including themed decorations, stand-up cutouts, hats and other wearables as well as costume accessories such as Sherlock-Holmes-style pipe for the residents, and tableware. 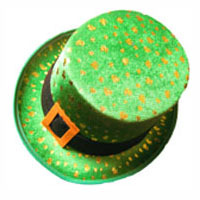 * Provided a large variety of supplies – decorations, tableware, hats, prizes, etc. Here comes the Circus and the clowns! As a result of that initial, successful collaboration, Trilogy Health Services’ purchasing officer has returned to Cappel’s multiple times for their party needs. Recent dinner events Cappel’s provided decorations for included one with a circus theme and another with a casino theme . It has been a great pleasure to work with the THS team to provide community-building events and entertainment for their residents. 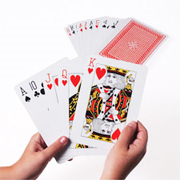 Giant Deck of playing cards – perfect for parties. Did She Say She Found the Sunglasses in Iceland? She found the sunglasses in Iceland and had us ship them to Hawaii! On February 10 a pleasant, well- traveled woman phoned Cappel’s in Cincinnati. Ms .R wanted to ask if we would search for an inexpensive way to ship three pair of sunglasses to her in Hawaii. Dave, in our shipping department, determined the cost for shipping anything up to 1 lb. 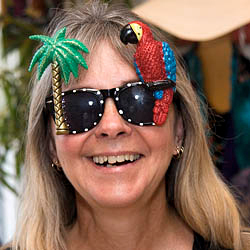 and Ms. R. was glad to have found a way to get her hands on those glittered, palm tree and parrot sunglasses! Cappel’s has the shades in combinations of red/blue, pink/lavender, and green/gold. 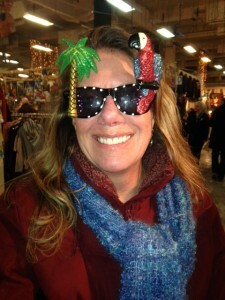 Ms. R. wanted the red/blue parrot sunglasses. You see, she had recently visited a market in Reykjavik. There, in the cold but beautiful capital of Iceland, Ms. R. tried on a pair of glittered palm tree and parrot sunglasses and was enamored with them – but didn’t buy them! When she got home to HER beautiful island of Hawaii, she really wished she had purchased the sunglasses. So, she looked online and found them at Cappel’s. Ms. R. was so happy with her experience with Cappel’s that she sent us a note and a picture of her wearing the sunglasses in the market in Iceland. Here (is a picture of me wearing) your sunglasses that I found at the flea market in Iceland! I am so excited that I will be able to have them now. Mahalo (Thank you) again for all your help. Your customer service is outstanding. A hui hou (Until next time)!” Ms. R.
Having such wonderful customers makes our jobs all the more enjoyable! Cappel’s mentioned by Downtown Cincinnati Inc.! We are so grateful for how gracious the folks at DCI are about including Cappel’s in newsletters and other communications. 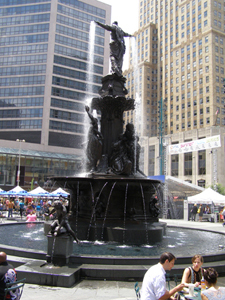 This afternoon I was checking out some of the many things to do in Cincinnati that are posted on the Downtown Cincinnati Inc. (DCI) website. Guess what I found? 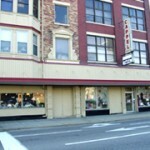 They posted an article about Cappel’s during the week before the Super Bowl! 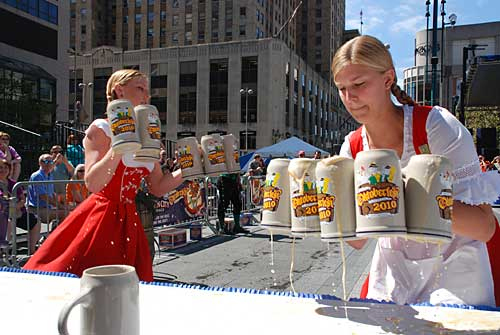 http://downtowncincinnati.com/happening-downtown/happening-blog/happening-blog/2014/01/28/it-s-sure-to-be-a-super-weekend! Cappel’s has many ways to help downtown residents and businesses enhance their entertainment experience. When guests or customers feel they are participating in a theme, whatever the theme is, they have a more fun. 2014 Eyewear: Here’s Looking at You Wearing The Newest Thing This Spring! Our buyer has found some hot new sunglasses trends for 2014 and you will find them in our stores and on our website by the middle of April. It’s Sure To Be A SUPER Weekend! It doesn’t matter whether you’re a Broncos fan, a Seahawks supporter, or no fan at all, you’ll find it hard to escape the frenzy over Super Bowl XLVII. The weather’s been awful, everyone has cabin fever; this is your chance to escape the humdrum that is winter. So pick a side, pick some friends, and plan a party! The game starts at 6:30, and if the complete game is a little too long, make it a Super Bowl Half Party. The point is plan to have some fun! It’s Time to Play a Little FOOTBALL!! Select a casual menu that suits your style. A buffet of appetizers, finger foods, and cold beverages works well, and allows guests to stay glued to the tube, or mingle with friends. Regardless of which team you support, Cappel’s has your team colors and decorations to kickoff your Super Bowl party in style! Start with a “yard-line” table cover. Serve your guests with Official NFL Super Bowl XVLIII plates and napkins. Colored cheerleader shakers allow guests to show their teams colors! To really enhance the feeling of being there, give your guests a penalty or challenge flag to throw on the floor when they don’t agree with a call. It’s not often we get to immerse ourselves in the excitement of the Winter Olympics! 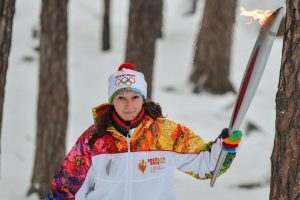 Beginning February 6 with the Opening Ceremony, and running through February 23 the Winter Olympics will be packed with events both interesting and suspenseful. These quadrennial games provide the perfect excuse to gather with friends and family for a party! Build on the international theme by assigning each guest a country to represent. Ask them to dress in some manner representing “their” country and to bring a dish or beverage to share which represents the country. Set the mood by giving your home a cozy winter lodge look. Hang snowflakes on the windows, a nice warm fire, and throw blankets will add to the feel of a mountain lodge. Don’t forget to hang some flags from several nations to build the international theme. Perhaps these could surround the food table, or TV area. Team USA’s Opening Ceremony Uniform… Is it me or is this sweater a candidate for the ugly sweater contest? Don’t forget to award medals to top contenders. It’s not official without the medal! Most importantly keep it simple, and have fun! Not so long ago, we thought maybe the simple helium balloon was doomed, it’s popularity cut short by helium shortages. Today helium balloons are back, and their presence more welcome than ever. One of the unexpected benefits of the helium shortage, was a product that we have come to use in all of our latex helium balloons. 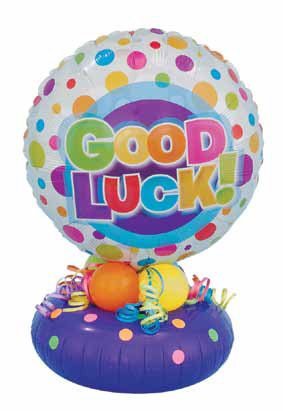 The simple latex balloon filled with helium used to have a short life. Typically we would not guarantee them to stay afloat longer than 12 to 18 hours. Today, thanks to a product known as HIFLOAT, that life can be extended greatly. 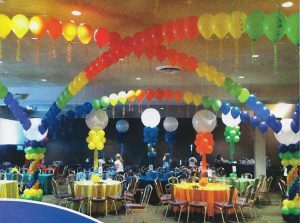 HIFLOAT is a gel like substance that Cappel’s adds to all of our latex helium balloons. 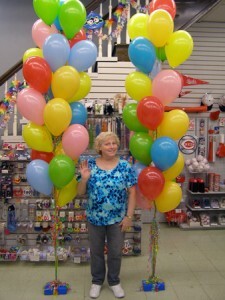 It can extend the longevity of these balloons anywhere from 3 to 7 days or more. In addition, it enables customers to have their helium balloons the day before a big event, and avoid the last minute rush. There are enough last minute details to any large party, so this is a welcome improvement. 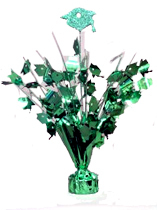 Our customers love the fact that their balloon bouquets can be enjoyed for more than just a night. Balloons! Just the thought of them brings mental pictures of celebrations, and fun times. 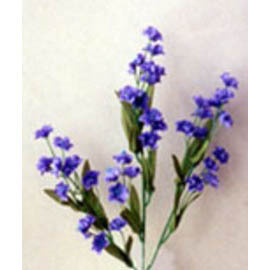 They are a part of our celebration landscape, and are often used in times of sorrow. We seem to float with them as they are released, and our secret thoughts, often inserted in the balloon, float with them too. Their color can add to the emotions we feel, or the theme we are trying to build. Three cheers for the simple latex balloon! seventy-ish. But lately, have you noticed the resurgence of interest in moustaches? They seem to show up in the least expected places. Namely, not on a male’s face. Of course, we’ve always sold tons of moustaches, but now there are moustache earrings, moustache suspenders, rings and bowties, to name a few. What is the reason for this sudden fixation with upper lip décor? After doing a little investigation I believe I have found the answer. Thanks to the Movember movement moustaches have become mainstream, if only for a month each year. Never heard of Movember? Movember is celebrated every November, and is a challenge to all males, and their wives, sisters, and friends to raise funds in support men’s health issues, especially prostate and testicular cancer. Men begin the month clean shaven. For the rest of the month, these selfless and generous men, known as Mo Bros, groom, trim and wax their way into the annals of fine moustachery. Supported by the women in their lives, Mo Sistas, Movember Mo Bros raise funds by seeking out sponsorship for their Mo-growing efforts. Seems a little hairy to me. Help! It’s A Rubber Duck Takeover! Who knew? Betsy Ross & Ben Franklin rubber ducks! What has happened to the simple rubber duck? The humble friend of Sesame Street’s Ernie has reinvented itself. Once confined to the bathtub or festival duck pond, the rubber duck has gone through an identity crisis of sorts. This little rubber creature has invented literally hundreds of iterations of himself. Sounds like a personality defect to me! But hey, it has really caught on. People really love the little guy. There are rubber duckies of almost every stripe; nerd ducks, ninja ducks, historical ducks, sumo wrestler ducks, super hero ducks. You get the picture. The little fellow even makes a guest appearance in rubber duck races across the US. My hometown, Cincinnati, sponsors the Rubber Duck Regatta every Labor Day weekend. Last year’s race featured over 100,000 of the little floating creatures. The event will be 20 years old this year, and has raised over $4.6 million dollars for the Freestore Foodbank here in Cincinnati. I guess the phenomenon is here to stay. He’s a harmless creature, so what’s not to like? MORP – What is it and do we want to go????? MORP is PROM spelled backwards. It’s a dance where the girls can ask the guys, where you wear crazy clothing instead of elegant finery, and everyone has a great time. Everything about MORP is just the opposite of PROM. You could say it’s a sort of a backwards Prom or a boycott of the regular Prom. It’s usually smaller than the regular Prom, costs a bunch less money to get your outfit and to attend, and you don’t have to be one of the “cool kids” or the “in crowd” to go to MORP. As a matter of fact, it can be a great activity for students who may not otherwise have a lot of social interaction with their peer group. It’s time to shine in your own unique MORP way. Most MORPs have an 80’s theme to them including 1980’s Rock & Disco Costumes, the idea being that folks dressed a bit crazier in the 80’s. Everything is mismatched, brightly colored, the more sparkles the better, and of course, the defining piece of your outfit (for a girl at least) is a Tutu or two. Try wearing Glitter or Sequin Hats and Wacky, Wild, or Colorful Wigs! Neon rules!!!!!! Plenty of bright colors will help create a good MORP outfit. Make sure your socks don’t match, your jewelry is funky and your Hair style is overdone. Sunglasses are not essential, but can be the finishing touch to any MORP outfit. And The Baby Is……. ? These days if you’re having a baby, friends and family can help you celebrate in more ways than ever before. Gone are the days when only ladies came to a “Baby Shower”. Now you can invite everyone to a “Reveal Party”. 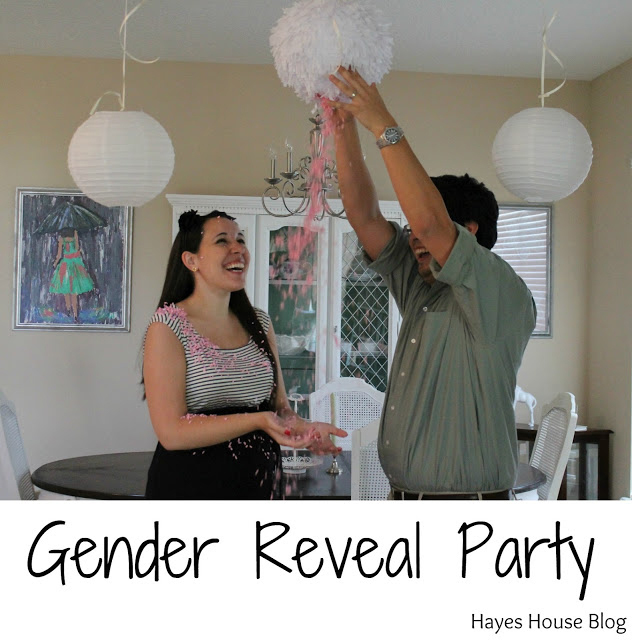 In case you haven’t heard, that’s a party where the gender of the soon to be born baby is revealed to the expectant parents, grandparents, relatives and friends. More ideas that I’ve heard are fun: Fortune Cookies with the gender written on the “fortune”, a cake or cupcakes with the inside tinted in pastel pink or blue. How about picking out baby clothes in pink and another outfit in blue, give the sealed envelope to a retail clerk and have them box the proper color outfit and put the other one back. Which ever way you choose, having a reveal party is bound to be an event you won’t long forget! Enjoy! I’ve never celebrated Chinese New Year, but I have wondered about its traditions, symbols and their meanings, so here is a little bit about what I discovered. This year it begins on Sunday, 2/10/13 and will be the Year of the Snake. The holiday is celebrated every year, but the date varies according to the lunar cycle. 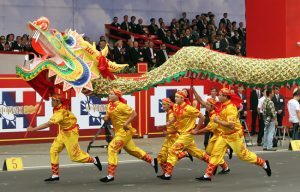 Always falling in January or February, Chinese New Year is celebrated from 3 to 15 days. The eve and first day of the New Year are celebrated in the highest style. Fireworks are an essential part of the celebration on Chinese New Year’s Eve to create an enormous and beautiful display. Then on New Year’s Day, there is a fantastic parade. couplets containing happy wishes are put on walls and doors. hang them around the house? Putting up Chinese lanterns would be perfect for such an event. Remember, red and gold as significant colors to use for their symbolism. Of course, Chinese cuisine, complete with chopsticks is essential for this party. Right now we are seeing lots of interest in Mardi Gras masks and party accessories. One question we receive regularly is “When is Mardi Gras?”. Since the date changes every year, this can be a confusing issue. This year, 2013, Mardi Gras, or Fat Tuesday, is Tuesday, February 12, which is the day before Lent begins. The celebration of Mardi Gras in our area is typically a 12 day event, beginning two weekends before the actual date. This gives everyone two weekends to party, and it mimics the celebration times in New Orleans. There are many organizations sponsoring parties for Mardi Gras. One of the most successful is in Main Strasse in Covington Kentucky. Lots of fun indoors and out! I think Mardi Gras is a welcome diversion from the endless days of gray, cold and overcast weather we so often experience in Cincinnati! For additional Mardi Gras ideas and decorations, check out our Mardi Gras Costumes & Party Supplies at Cappel’s. It happens only once a year each December, but is remembered fondly throughout the year. You say Christmas? We say SantaCon! Santacon has a long and colorful history, and is celebrated around the world. 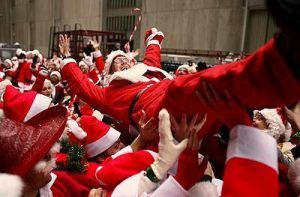 Santacon is essentially a gathering of like minded individuals who wish to both get into the Christmas spirit, as well as spread Christmas cheer to their fellow man. 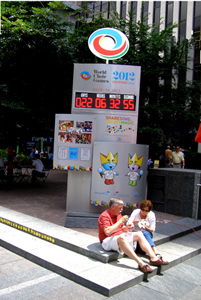 In 2012 Santacon events will be celebrated in just about every major U.S. city, and in excess of 20 foreign countries! In New York City huge throngs of Santa-wanna-be’s will gather to spread good cheer and raise money for Toys For Tots. If you are looking to join the fun, there are just a few rules. First, find out the date when Sanatcon will be celebrated in your city. Then, dress up! Creative interpretations of Santa gear are welcome and encouraged. Remember to address everyone as Santa, and most importantly, remember Santa doesn’t make children cry! Trah La La La La! One of the better traditions that has survived over the years is caroling! There is no better way to get in the Christmas spirit! What is it about caroling that makes us feel so good? Is it the camaraderie of being with friends, or the happiness that caroling inevitably brings to the lucky recipients. Whether you organize a group of neighbors, the local youth group, or friends from church, the results are sure to bring smiles to all involved! Don’t forget to add some visual effects to your group. An old fashion top hat, or Santa hat will instantly identify the group’s purpose. The recipients of your jolly efforts could be elderly shut-ins, nursing home residents, or even neighborhood families with young children. Imagine the delight in their eyes to have a group of happy carolers entertain them for a song or two. Merry Christmas! Halloween or anytime is a perfect time to become someone else for a night. Why not do it up right with a costume, some makeup and maybe a wig to top it off. oversized shoes. That just completes the whole picture . show us photos of what they look like in makeup and costume. 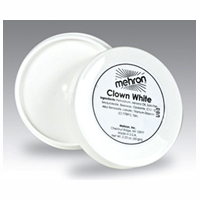 Most of them like the Ben Nye and Mehron brand products, both sought after by discriminating customers. You don’t have to be a professional to look great . We have Disguise Sticks Makeup that is like using watercolor paints only much more highly pigmented. Dip a brush or sponge in water swirl it on the Disguise stick and start painting your face, hair, body etc. This is fantastic for your kids. It’s non-toxic, dries so it won’t get all over clothes or furniture, and the kids can even use it themselves. I can’t even count how many of our neighborhood festivals use these for face painting every year. Go for that Best Costume Prize by adding the finishing touches like moustaches or how about witch’s warts! Put on some scars, blood and tattoos with some Zombie makeup and black Zombie Blood. OOOOOOOOOOhhhhhhhh sounds yucky…and perfect. Come in and check us out for Halloween or year round. 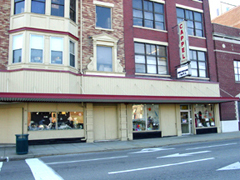 Cappel’s isn’t like those other stores that are here today and gone tomorrow. We’re here for your makeup needs all the time. and I thought the girls would like the idea of doing clown make-up for each other. I briefly considered a magic theme, but realized I’d be the one who had to learn the magic tricks! (Too much to do for that.) It could have been a Jungle party with cute little monkeys, or even a luau party with pretty flower leis. Well, I chose the luau theme. I asked the girls to wear something “beachy” and told them they were bound to get wet. I gave each one a Hawaiian flower lei and off we went to the back yard. I had surrounded our deck with raffia skirting and hanging palm trees, and had Hawaiian centerpieces on the tables. 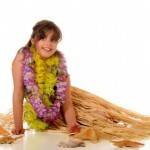 They were thrilled when I gave each one of them a grass skirt to wear. Of course they all tried to Hula dance, each one trying to out-do the other. We had a water balloon toss that had them giggling and we played several more games. Towards the end of the party, we strung up a brightly colored pinata that everyone got to smack until it burst and all the candies came rushing out. The girls were quick to pick up the goodies, filling their loot bags. 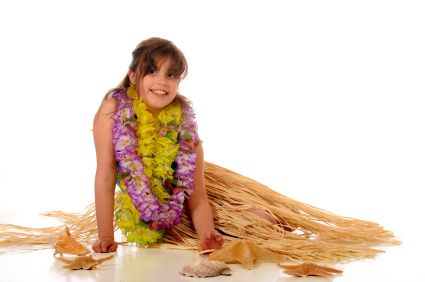 A good time was had by all, (especially my daughter), and I’m pretty sure those grass skirts and floral leis were kept as reminders of the great time they had that day. Our niece will marry her soul mate next year, in June. We are all excited about the preparations & decorating plans. As usual family and close friends are planning to attend the wedding. But there’s something different about the location of this wedding from the weddings we’re accustomed to attending. For Racheal’s wedding, everyone will have to travel and stay in a hotel – and I mean everyone. Rachael’s wedding will be a “destination” wedding. Have you heard of that before? What a special treat and wonderful way to begin a new life together. Their wedding will be at an island resort where none of us have ever been. In the pictures, it looks like a place we’ve only dreamed about. I think a wedding like this is the perfect start to a new life together. I can imagine taking a long weekend vacation with my best friends and family and after they all leave my husband and I would stay a few more days for our honeymoon. Where would you choose if you could go anywhere in the world for a destination wedding? Getting ready for the big SPLASH! Summer time and pool parties, what a perfect pair! Summer is my favorite time of year, and If you’re fortunate enough to have a pool, you have the best of all worlds. Set the mood for your summer pool parties. I love the way paper lanterns look when strung over a pool, or around the patio. If you have a covered area, the lanterns can enhance your pool area for months! Whether combined with strings of lights, or by themselves, they add a festive look to any pool party. I wish summer would last forever! Cincinnati Pigs are the biggest hams at the World Choir Games! Check out our new Big Pig Gig in Cincinnati, OH. sponsored by Cincinnati Art Works. 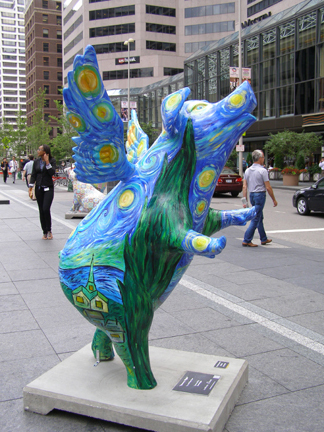 Starting in May 2000, the public pig-art project charmed everyone from Ohio all the way to northern Kentucky. New pigs have been added this summer in anticipation of the World Choir Games. 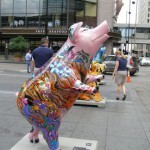 You can see a few pig images on Cincinnati Pigtures and also see Big Pig Gig returning for World Choir Games. 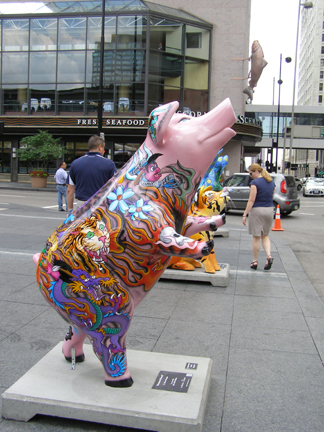 The pigs were a great attraction throughout all of Cincinnati, and were especially enjoyed by visitors coming for the World Choir Games. Hope to hear about the concerts you attended and the pigs you saw! 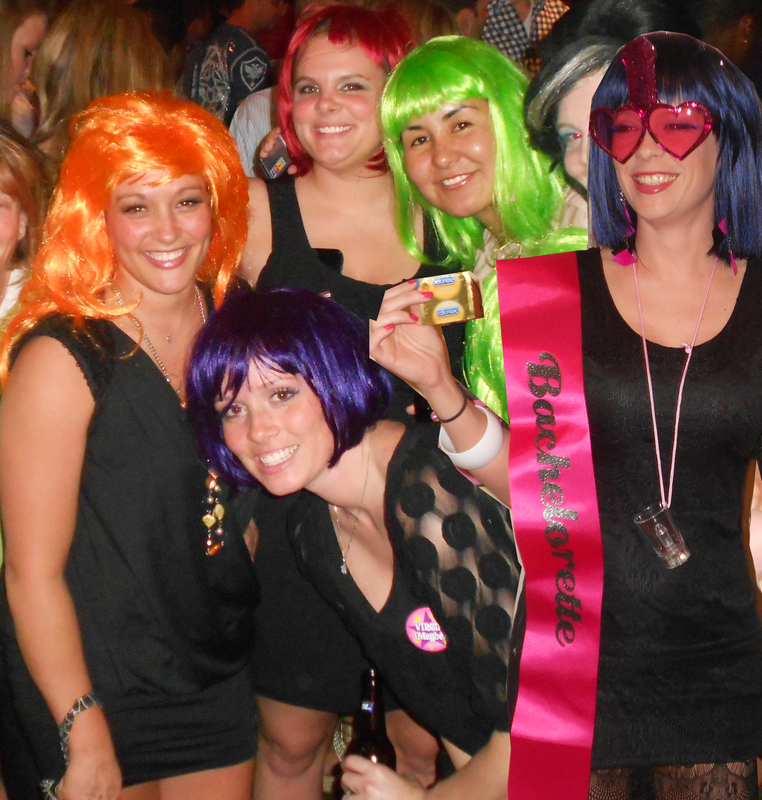 My niece, Sarah with friends and relatives celebrating at her bachelorette party in May. My niece, Sarah, recently got married, but not before celebrating the traditional Bachelorette night-out. Sarah comes from a partying group of 6 siblings, and an abundance of cousins and friends, so we knew this would be a fun event. The theme for the night was “wiggin’ out”. All attendees were asked to wear a black dress, (because hey this was a sophisticated group), and a wig of their choice. Turns out the black dress was the only thing sophisticated about the evening! The evening started off with the usual embarrassing presents for the bride to be. Sarah has a great sense of humor, and seemed to enjoy all the attention. After that it was off to downtown Louisville for a very memorable night of dancing and enjoying life. The colorful costume wigs added greatly to the fun of the evening, and of course let everyone know that we were celebrating a very special occasion. 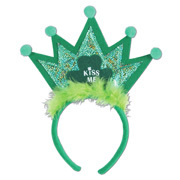 Bachelorette parties and Bachelorette party supplies are new to my generation; but they are a good new! They are certainly a lot more fun than bridal showers! It’s almost here! Hundreds of choirs from 70 countries will be competing here in the first World Choir Games ever to appear in the United States. 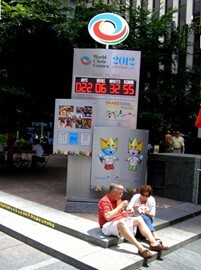 Cincinnati has been waiting so long for the World Choir games to start. Just last month 500 planters were positioned around town. These planters will point the way to the various event locations. Fortunately for Cappel’s, these planters run right in front of our party store, as we are just a block from two of the venues. to be! Competitions cover every type of musical genre from great choral-symphonic works to pop music. Cappel’s is preparing with international & music products as well as a special display window in front of our party store to welcome World Choir Game visitors in their native languages. We will be carrying flags from 30 countries, as well as international flag banners, and also some licensed World Choir Games products. Cincinnatians wants to be certain that our visitors feel safe and have a great experience here. There are 5,000 local volunteers to assist with making our international visitors feel at home. Some 500 of these volunteers will serve as translators. Come to Cincinnati this July for a very special treat! I Know Everything About Him – But What Do I Do for Father’s Day? At our age, my husband and I are grateful to still be able to celebrate Father’s Day with our dads. I am going to give you some insight into our 2 great dads. Maybe you can give me some help for Father’s Days ideas. My father, the Riverman caught a little mahi on a recent fishing trip with our friend Dave Roof aboard the Ocean Gambler. My dad, the Riverman, likes to fish, garden and grill out. He saved a young boy and several adults from drowning during his days on the Ohio River. He can build and fix anything and everything. He enjoys having lots of friends and family around and is always ready for a party. He loves animals, is kind-hearted and generous. My dad reads lots of books. His favorite books and movies are westerns and mysteries. He can join in on most country songs and turns the volume way up for Pavarotti’s opera voice or a Beethoven symphony. And it’s still really hard to find a gift for him. 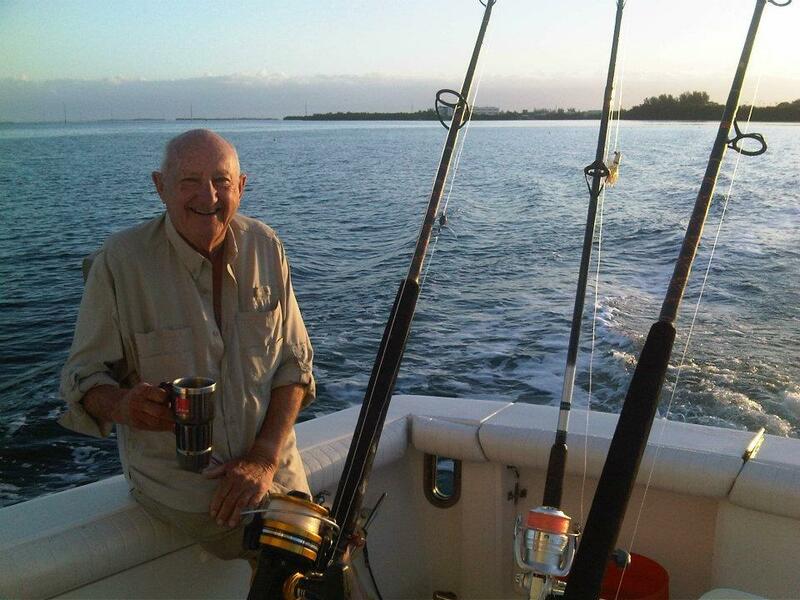 For my dad, I am thinking about a small get together with a fishing or western theme. 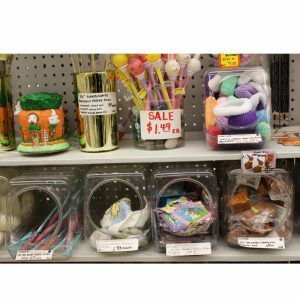 We have some fun western party accessories at Cappel’s that might make the atmosphere a little more fun. Ray took this picture of Bill Cappel on his 97th birthday. Ray’s dad Bill Cappel enjoys talking about his farm, the garden and pond. He likes animals and especially enjoys petting dogs and watching birds. Their home on the west side of Cincinnati always had bird feeders to attract beautifully colored songbirds. At 97 years old, he has many great memories to share. He was a dedicated, energetic, tireless entrepreneur who from humble beginnings in a grocery store became a leader of the multi-location, family-owned party and costume stores, Cappel’s. Known for his integrity and attention to detail, Bill is respected in the retail world by colleagues and vendors from New York to Las Vegas and from Chicago to Houston. He taught my husband, Ray, the business from the time Ray was 8 years old. And it’s really hard to find a gift for him, also! 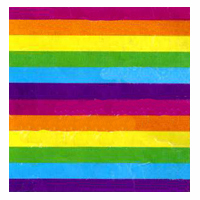 Ray loves color so we might use bright plates and table cloths to make the room look more special. If you have ideas for us, please let me know. During a national trade show, Ray came upon some really fun kitty cat eyeglasses and kitty sunglasses and kitty eye glasses with no lenses! Eye glasses with no lenses? 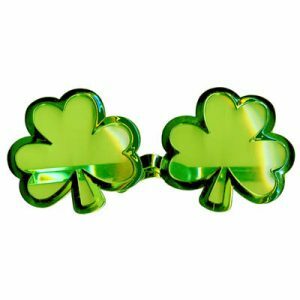 You might ask, “What’s the point of that?” Well, they are a great accessory for your face. We use make up and earrings, piercings, perfumes and lotions to accessorize our faces. Some very famous women would never be seen in public without sunglasses. What about your own style? Are you into Hello Kitty ® brand accessories? If so, this would be a purrfect accessory for you. Cappel’s has kitty glasses with a dark lens, a clear lens, or no lens. The frames have a bow on one side and a cat paw on the other rim. 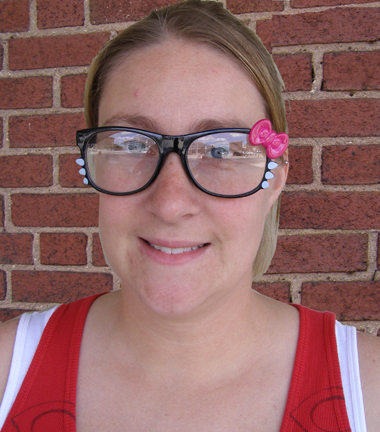 There's lots of fun ways to celebrate, and eyeglasses add to the fun! I love these parrot sunglasses. 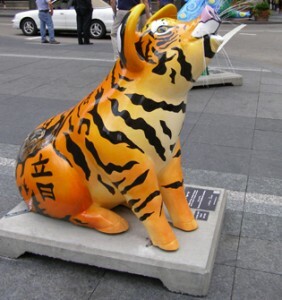 In Asia, kitty glasses these are already reported to be a strong trend. They move quickly and are sold by street vendors who are enjoying the fun of a hot new item. Our glasses, sunglasses and frames are available in a variety of colors and would brighten up any wardrobe and provide a great conversation starter. I also love the parrot sunglasses. How do you accessorize your face? Welcome to our blog! Cappel’s is a well known costume & party supply store in Cincinnati. 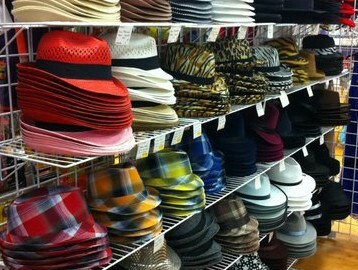 In fact, we own 5 brick & mortar locations in Cincinnati as well as our 6th store online: www.cappelsinc.com. Cappel’s has been run by our family since 1945, and at times, everyone in the family seems to have a part in it. Ray Cappel is our primary buyer. His wife, Steffi Cappel, will be writing posts for the blog as will Melanie Crihfield, one of our favorite designers at Cappel’s. I hope to get many others involved in writing posts. It’s amazing the great stories and ideas that we come across during a day’s work. 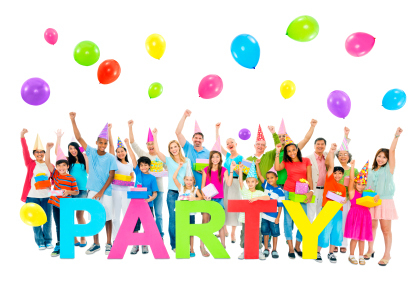 We hope to share with you some exciting and practical party and costuming ideas. My husband Rich Cappel and I are very involved with the day to day activities of the business. We are very proud of our stores and the people that work at Cappel’s. Diane Cappel and her husband Rich are involved with the day to day activities of the business. Our customers are always coming up with fun ideas, and we want to share these with you! Maybe we’ll have just the right idea for an event that you are planning. We’ll also be sharing the latest celebrations we are having in the Cappel family and in Cincinnati. Our goal is to inspire you to enjoy and build great memories with your families and friends through fun parties and celebrations.